On the #GE2017 campaign trail…. What a week! The decision to call a snap election caught everybody a little on the hop if truth be told but things have really geared-up since last weekend. We started amongst friends at Birkdale Labour Club and it was apparent from this very first meeting that this campaign was going to be a bit different. It was a great turnout and there was a real enthusiasm to get involved. It bodes really well I think. The highlight so far locally must be opening our campaign HQ at Wayfarers Arcade, and it is already the engine room of our efforts and a hive of activity. I’m genuinely humbled and grateful to all those volunteers who have already made such a strong start in helping us get our message out and deliver thousands of leaflets. Thank you all. 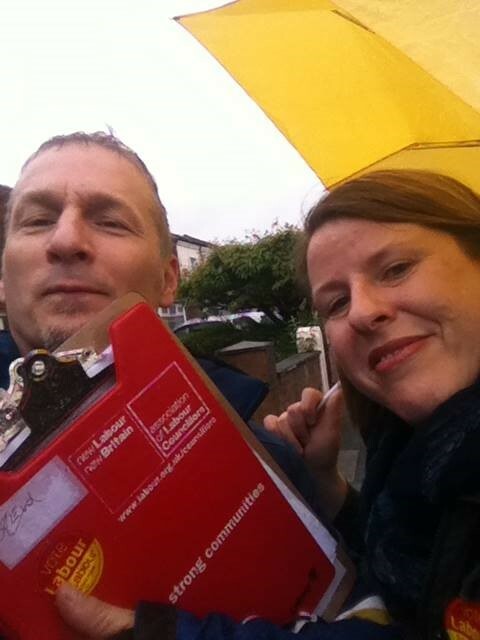 Those at HQ are being matched for enthusiasm by the canvassing teams who even braved the appalling weather on Monday, though perhaps the toughest job of the week was trying to decipher their squelching information sheets afterwards?! Tuesday was radio interview day, a piece for Sandgrounder Radio, media work isn’t something I approach with glee if I’m honest but it went well enough, I hope. 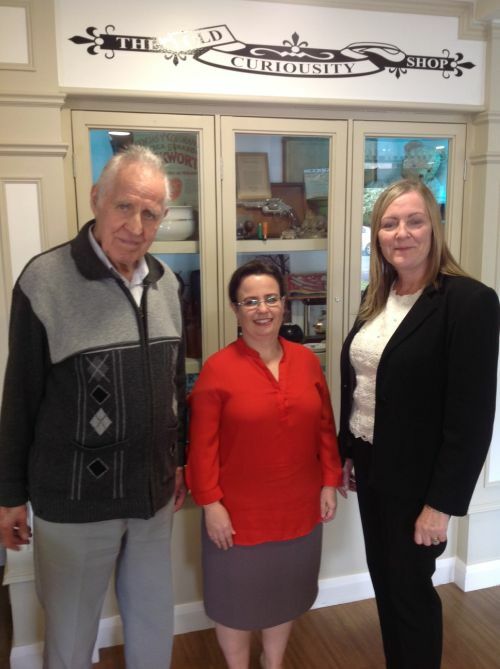 Wednesday was a really significant day as it saw the release of our manifesto. It offers a different vision for our country, one of fairness and equality… and unlike the Conservatives, all our policies have been costed! 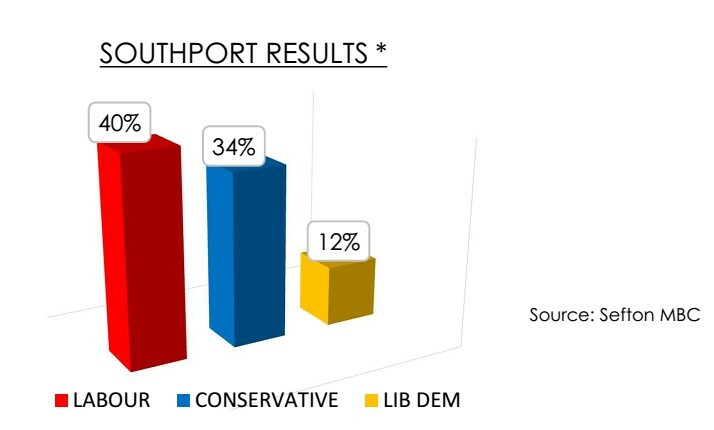 It also saw a survey carried out by the Liverpool Echo which has us tied with the Tories and Li-Dems far behind. This and the release of the Liverpool City Region Mayoral results breakdown in Southport have given us all a real lift it’s fair to say. Thursday was TV interview day, which is about the only thing I approach with less glee than radio interview day! It went OK despite that. The tail end of the working week was busy canvassing, organising hustings, meetings and of course, being a mum to two teenagers, there is always the home life to contend with too! 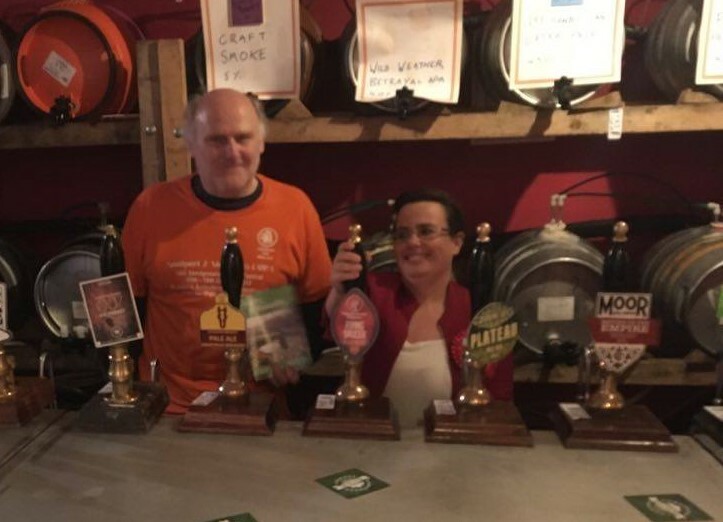 Saturday was truly gruelling, down the at the Tap and Bottles for the beer festival with Doug from CAMRA, too many community pubs are struggling… mind you it might be the barmaid. 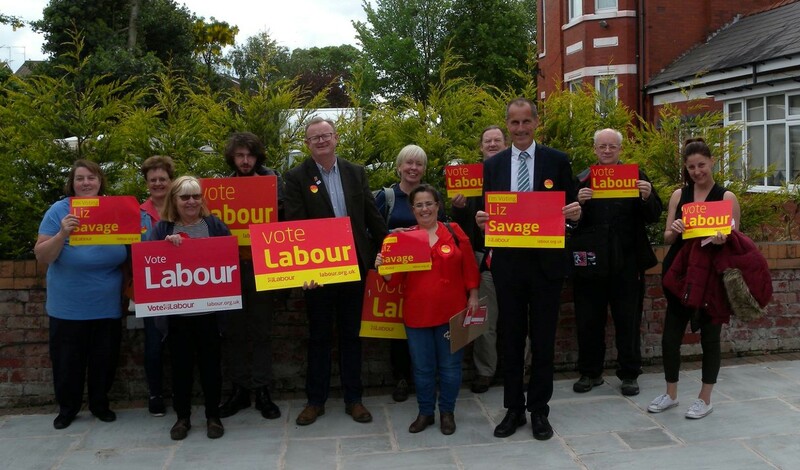 Sunday, we had a new volunteer on the canvassing team, Bill Esterson, who’s standing for re-election in Sefton Central, for a newbie he was surprisingly good, you’d almost think he’d done it before! I also took an hour out from campaigning as part of “The Great Get Together” project run by the Jo Cox Foundation. The idea was to visit a local project that brought people together and highlight common values in the fight against hatred. I chose to visit Parklands Lodge, a nursing and residential home for the elderly as I’d heard of a great scheme they have to bring elderly residents from across Southport, and beyond, together to combat loneliness. 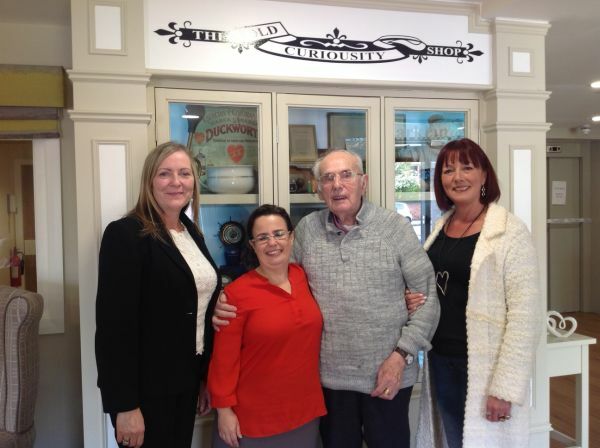 I had a lovely time meeting residents 85-year-old Don (and his daughter, Jo) and Bill, 84, and hearing all about this very worthwhile endeavour from them and Gaye Clark of Athena Group which runs Parkside. And finally, my pause for thought moment of the week was talking to one of our campaign volunteers who then turned out to be a politics lecturer at my old college! She even remembered I’d been elected the “Student MP” there back in ’92… I’m taking it as a lucky omen!